Welcome to the Westerman House Bed and Breakfast! 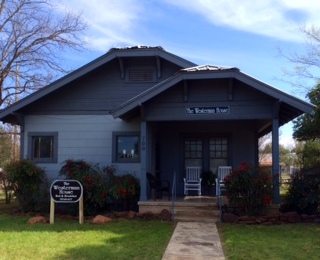 This craftsman-style bungalow, built in the 1920's, provides a restful retreat in one of Llano's most historic neighborhoods. Enjoy watching life go by on the cozy front porch, or sit under the shade in the back yard to enjoy the peace and quiet of small-town living. Just a few blocks from the historic courthouse square with its restaurants and shops, and two blocks from the beautiful Llano River, there are many places to explore or just sit back and relax. With a queen-size bed in the bedroom and a queen-size Murphy Bed in the TV room, four people can sleep comfortably. When you book The Westerman House, you get use of the entire house which includes a livingroom, diningroom, bedroom, TV room, bathroom and kitchen, as well as, a fenced yard and covered off-road parking. A contenental breakfast completes your stay.